Many big tech industry names claim that augmented reality will be revolutionary in the coming years. Yet, what are the implementations we are seeing at the moment? The vast majority of people are familiar with augmented reality games like Pokemon GO, but fewer are paying attention to the multiple AR shopping apps that have been cropping up recently. Retail is undergoing an AR revolution and the question to ask is how impactful it will be for shoppers. 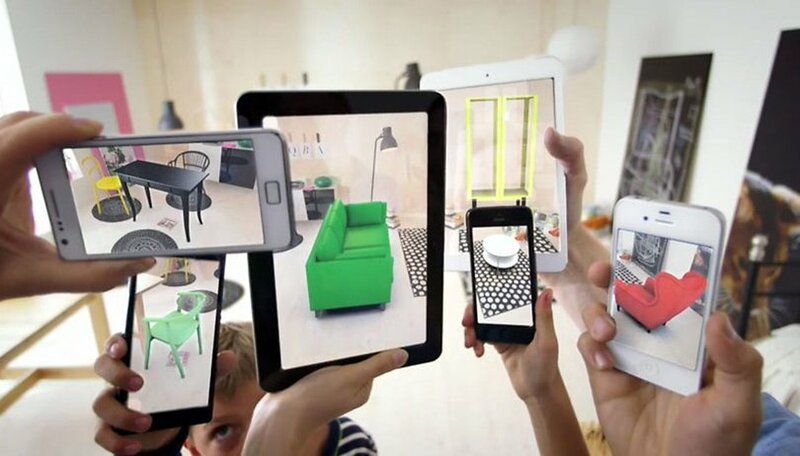 According to market researcher Gartner, "100 million consumers will shop in AR online and in-store", while "46% of retailers plan to deploy AR or VR solutions" by 2020. And it makes perfect sense in some ways. Augmented and virtual reality are much more immersive than photos and should technically give us a more realistic idea of how a product looks. We've all been there: impulse ordering a T-shirt online, only for it to arrive in a slightly different color and the wrong size. With augmented reality apps, this could become a thing of the past. Currently, apps like IKEA Place even give you the opportunity to test how furniture would look in your apartment, while others let you try on trendy shades or new lipstick colors. On the surface, this sounds great - getting to test a product without ever leaving your couch is more than convenient. But can these new augmented reality apps prevent buyers' remorse? Because it's quite popular, I tried out the IKEA Place AR app to see if it's a bit too good to be true. First, I have to admit that the 3D furniture models look quite realistic, even if not 100% convincing. But the app is far from perfect. When placing decorations, it was hard to always get a realistic idea of their dimensions, as you will see from the screenshots below. The size and perspective is not adjusted much when moving the camera either. Of course, the technology is quite new and won't work perfectly considering all smartphones have multiple different camera lenses nowadays. But even with that in mind, checking products out at a brick and mortar store is still preferable to me. I would be able to see and touch the item - texture is not something you can really see with the IKEA app, for example. And of course, if we are talking about chairs or couches, actually sitting on them to see how comfortable they are before purchasing is just good sense. So, while the IKEA Place app is fun and gives you a broad idea on how things would look in your apartment, I wouldn't make major purchases based on the visuals it provides. I also played around with the AR experiences which can be found in Galaxy S10 camera app under Bixby Vision (and other similar AR apps). It allows you to 'try on' sunglasses and buy them directly from the application. The results were not very impressive - they look just like any AR emoji sunglasses sticker. That can be sort of excused since there is no 3D facial recognition on this smartphone, but even then I'm not sure if you'd get a very realistic idea of how the sunglasses will sit on your face. This is why I'm not fully convinced by current AR shopping apps in general - the technology is still in its infancy. I also feel that while most of these applications might not be intentionally misleading, they still feel a bit dodgy. They can make products look miles better than they do in reality. Clothes, accessories and makeup retailers especially have an incentive to have their product look amazing and fitting. Of course, all ads try to paint products in the best possible light, but if consumers don't understand the limitations of augmented reality they are more likely to trust AR apps than a billboard or a video commercial, for example. In the future, with 3D facial recognition and new sensors (or even AR glasses) this could change dramatically, but for now I'll stick with trying on physical sunglasses and trying not to get lost in the maze that are IKEA stores. What is your opinion on AR shopping apps? Do you think they are the future? Let us know in the comments.